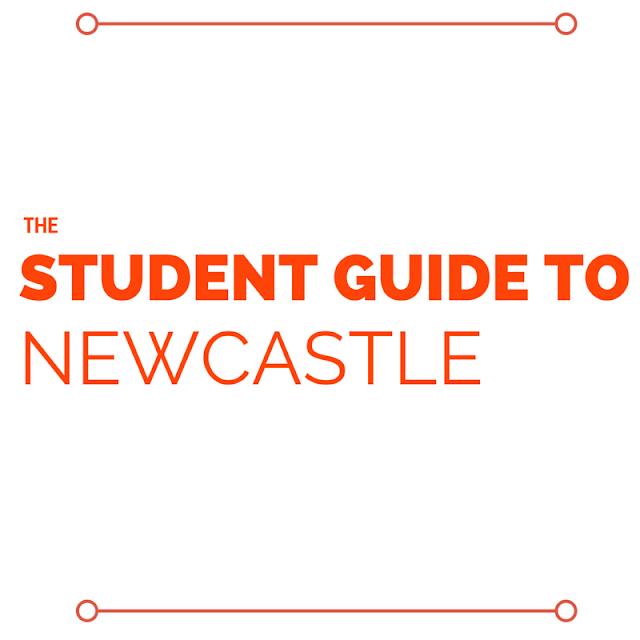 written by a girl: The Student Guide to Newcastle has arrived! In less than two weeks, I will have started my third and final year at university, which is both exciting and terrifying. Looking back on the last couple of years, I simply cannot believe how quickly it has gone and how attached I now am to the city of Newcastle. It seems pretty crazy that two years ago I was about to move up to this North East city, completely overwhelmed at how little I knew about the place I was about to call my home for the next few years of my life. I know that as a student who didn't really have a clue what this city had to offer when I first arrived here, a guide with all the best places to eat, drink and see would have been hugely helpful so...I decided to write one! The Student Guide to Newcastle has arrived and has been designed to help and inspire you to make the most of your experience in this North East city. It is available right this second for your viewing pleasure and if you're feeling really crazy, you could even download it or print it off. The best thing about it though, is that it won't cost you a dime - yep, it's FREE! I absolutely loved putting this guide together and I hope, whether you're a student or not, you find it helpful. I would absolutely love to hear your thoughts on it, so please leave a comment below, get in touch on social media or even email me if you're feeling super lovely.